With his original take on the home invasion thriller, 2010’s Kidnapped, Spanish director Miguel Ángel Vivas made it loud and clear that he is a director the world needs to pay attention to. He’ll soon be reaching a presumably larger audience with his English language debut with the thriller Welcome to Harmony. The film has landed a handsome pair of lead actors in Jeffrey Donovan and Matthew Fox, both of whom are much more widely recognized for their work on television. Here’s hoping they know what it takes to survive after the apocalypse, since the only future that exists in cinema these days is one that follows the end of days. Welcome to Harmony will be produced by Ombra Films, founded a few years ago by Spain’s Jaume Collet-Serra (Orphan), with a script written by Vivas and Alberto Mariani, who wrote Jaume Balagueró’s 2011 tension-filled drama Sleep Tight. 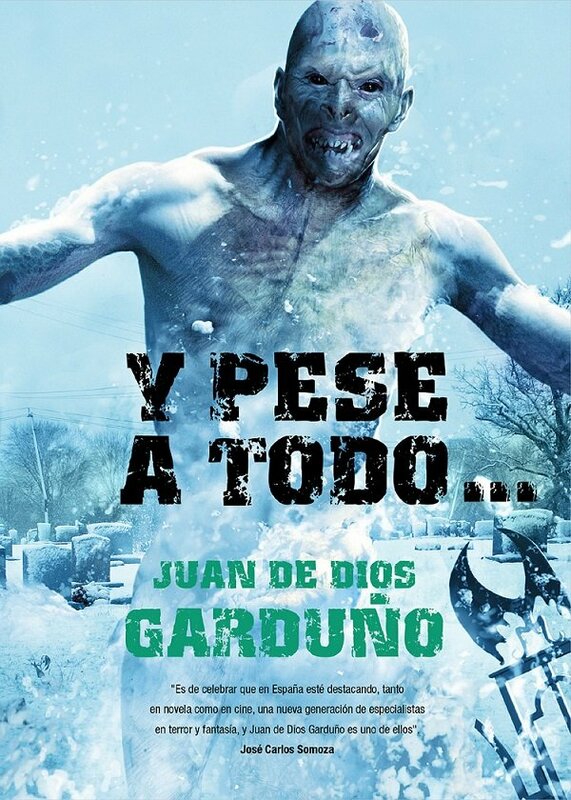 According to TheWrap, it was adapted from the bestselling novel Y pese a todo from author Juan de Dios Garduno. As you can see from the book’s front cover below, this could be a pretty monstrous affair indeed. In the film, Donovan plays a man who is living with his daughter and Fox’s character in a remote village that has remained out of the dangerous reach of a deadly outbreak that has taken over the world, turning the infected into deadly beasts. As long as the actress they hire to play the daughter is capable of delivering a convincing line, this could be a sleeper hit in a year or so. Assuming we’ve all survived the end of the world. In talking to Bloody Disgusting about the film as it was being written, Vivas said it’s a "film about friendship, about hatred, about connection, about sin, about love…about all those issues, but of course with monsters." He then goes on to call the film "28 Days Later meets a John Carpenter movie meets Hell in the Pacific." Those are three pretty lofty comparisons in the realm of dramatic thrillers, and I certainly hope they’re as accurate as they are ballsy. After spending six years (or a lot more than that, canon-wise) leading the people of The Island on Lost, Fox has been trying to make a name for himself in features. He definitely didn’t do it with Rob Cohen’s train wreck Alex Cross last year, but quality work in Peter Webber’s Emperor and bit roles in blockbusters like World War Z are a much more reasonable route. Donovan just ended a six-year TV run of his own as the too-smooth Michael Westen on USA’s Burn Notice. His last two film credits were in Clint Eastwood movies, as he starred in 2008’s Changeling and portrayed Robert Kennedy in 2011’s J. Edgar. If you’re like me, though, the only film you’ll ever remember him for is Book of Shadows: Blair Witch 2. I'm not alone, right? Production is set to begin in Eastern Europe starting in February. If you haven’t checked out Kidnapped yet, now is as good a chance as any, though it isn’t the most holiday-themed of movies. You can find it on Netflix here. Matthew Fox Accused Of Beating Women, Do You Buy It?